VonShef 1000W UltraBlend Personal Blender Smoothie Maker – What The Deal Yo?! 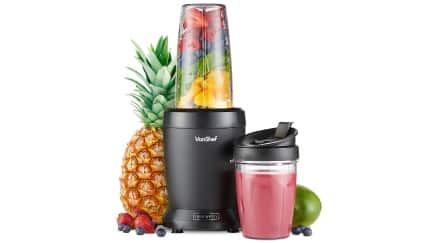 Von Chef 1000 Watt UltraBlend – fast, powerful for blending sports drinks, protein shakes, healthy fruit and vegetable juices, thick smoothies and milkshakes. Also blends ice!